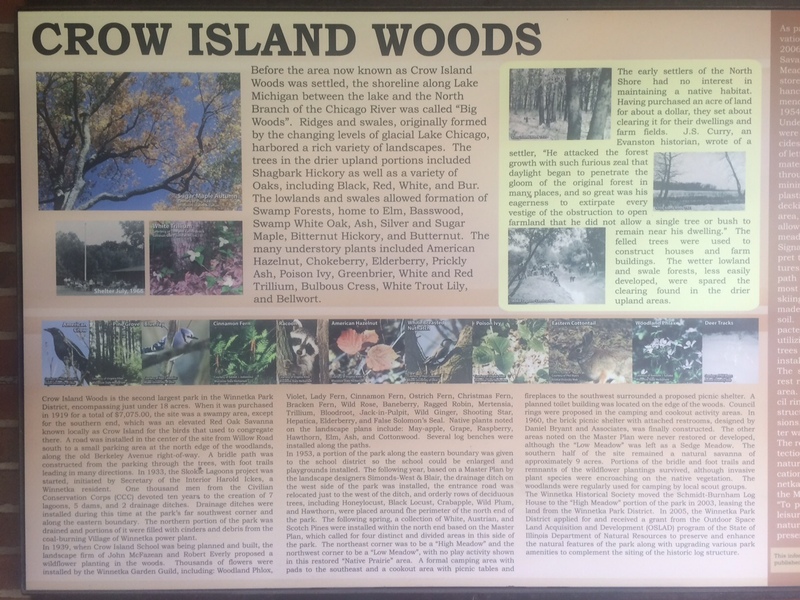 Crow Island Woods is the second largest park (17.91 acres) in the Winnetka Park District. It lies directly west of Crow Island School, which is listed on the National Register of Historic Places for its significant architecture. The northern half of the site consists of a variety of grassy areas framed by groupings of trees and shrubs. In the northeast meadow sits the Schmidt-Burnham Log House, managed by the Winnetka Historical Society, a historic log cabin built circa 1837 and moved to the site in 2003. A wet sedge meadow to the west can be explored via a winding wooden boardwalk. Parking is available in the center of the park via a gravel road off of Willow Road. A picnic shelter with restrooms and stone fellowship circle is located just south of the parking area and next to an open field, perfect for large gatherings and events. To the west of the shelter, a Native American Council Circle has been recreated utilizing 23 native oak trees. The southern half of the site is a natural red oak savanna which is laced with mulched pathways for leisurely walks. 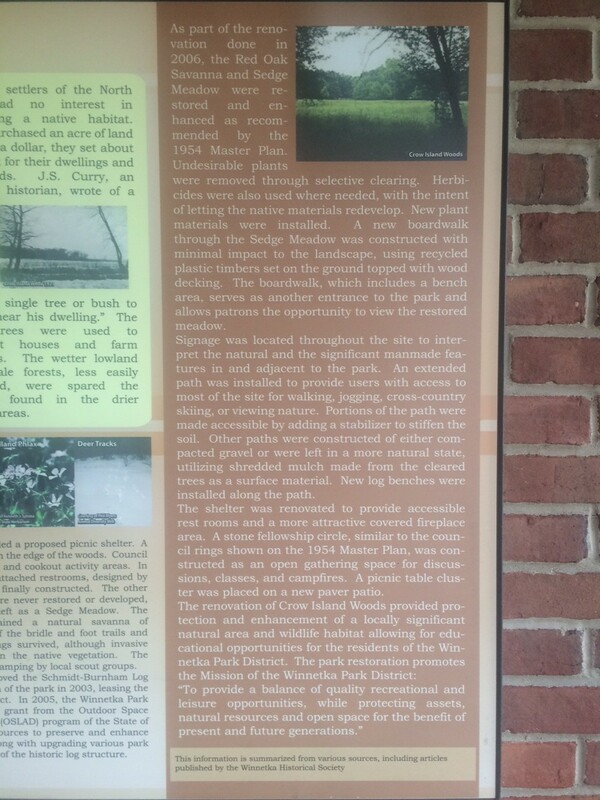 Interpretive signs (see below) and wooden benches, repurposed from fallen trees, are scattered throughout the site. Forestry experts believe that Crow Island is a remnant of that “Big Woods” and contains trees dating back to the time of the early settlers in these parts as well as over 100 other species of plants. A 63-member Plan Commission spent four years from 1917-1921 studying the challenges facing Winnetka, and recommended (http://winnetkahistory.org/wp-content/uploads/2014/06/Plan-of-Winnetka-1921-resized.pdf) a number of actions we now consider historically important: from the sunken railroad tracks, Green Bay Rd., and Skokie School to the establishment of Crow Island Woods and the forest preserve on our borders. One of the very early instances of urban planning, the Plan Commission was quite concerned with maintaining Winnetka’s residential character and preserving green space in the Village. 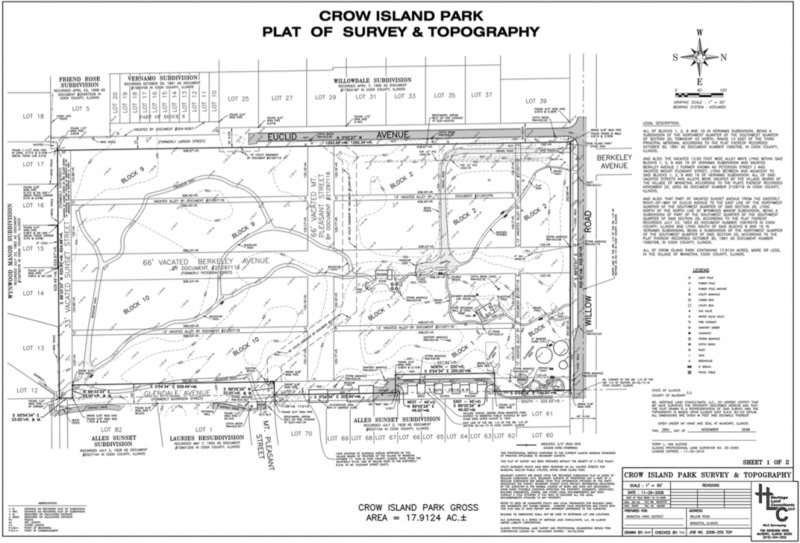 Crow Island was created from land purchased from various families and street vacations. In May and June of 1919, John Slowe, Clemens Fortmann, William D. Washburne, Adolph Muus, Gallus Bader, and William P. Knoche sold land to the Village at prices ranging from $150-$5000. 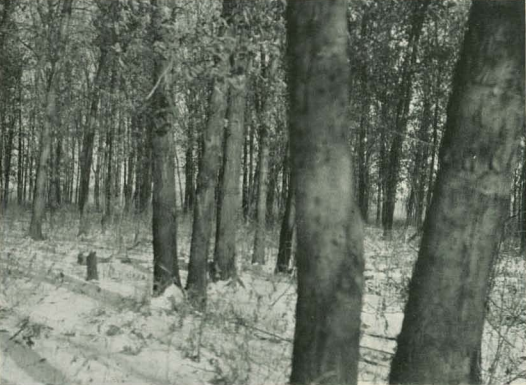 In 1939, additional land was purchased from the Winnetka Board of Education District 36. In 1953, part of that land was donated back to District 36 for an expansion of Crow Island School. Crow Island has historically been a higher ground (hence, “Island”) Red Oak Savannah, a once-common, but now endangered plant community. The swampy areas were where surrounding houses are, not where Crow Island was!